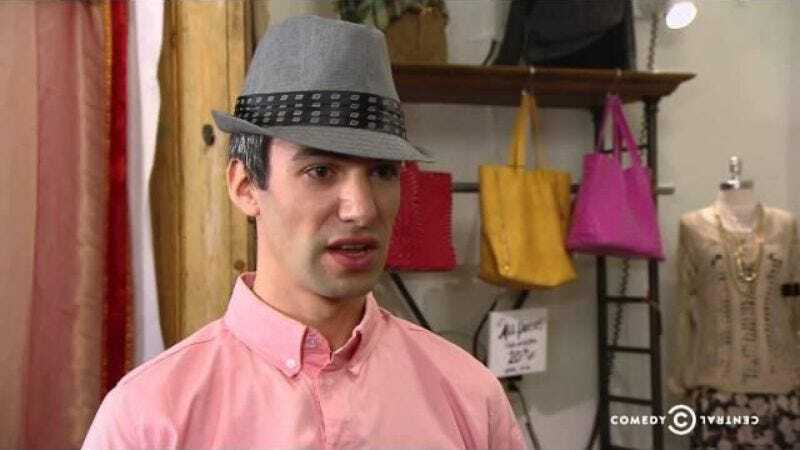 To the delight of fans of inventively awkward comedy (and the sorrow of at least one mom), Comedy Central announced that it will be renewing Nathan Fielder’s bizarro business advice program Nathan For You, along with the Funny Or Die-produced Drunk History, for a third season. As reported by Entertainment Weekly, the two shows join Broad City, Kroll Show, Inside Amy Schumer, Trip Tank, and an extended fourth season of Key And Peele in being renewed by the network for the coming year. There’s no word yet on which of our culture’s taboos Fielder will gently manipulate business owners into violating, but we’re sure that whatever he sets his targets on, he’ll do it with a peaceful, slightly needy smile, and a mischievous glint in his eye. Unless that’s just another picture of that old naked dude touching himself.